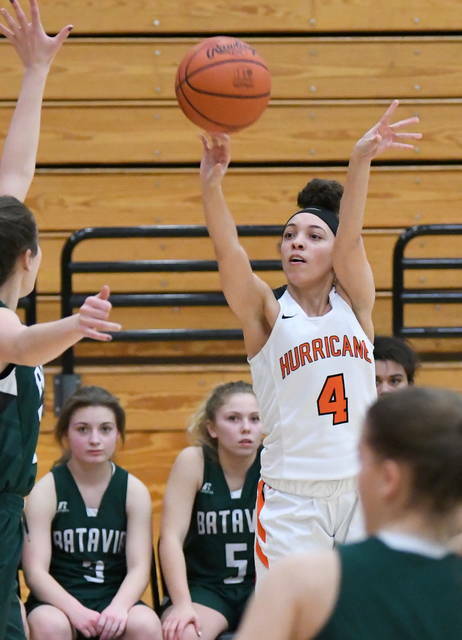 WILMINGTON – Wilmington senior Mya Jackson capped her stellar career at Fred Summers Court with 38 points, five steals and three assists to help lead the Hurricane to a 64-36 Senior Night victory over Batavia. Jackson’s career total stands at 1,942. A pair of juniors turned in impressive performances as well to send off their senior teammates with a win. Karlie Morgan narrowly missed a double-double with 15 points and nine rebounds. 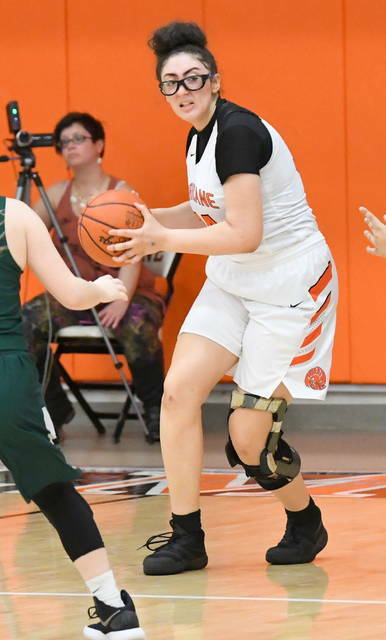 Jasmine Jamiel finished with eight steals and seven assists. Jackson’s classmates Jenna Victor and Tiara Harris had two points and seven rebounds, respectively, in their Fred Summers Court finale. “It’s a great group of girls,” WHS head coach Zach Williams said. “Ti’s been through a heck of a lot battling injuries. She’s come a long way this year, getting rebounds and playing more confident. Jenna’s been solid. 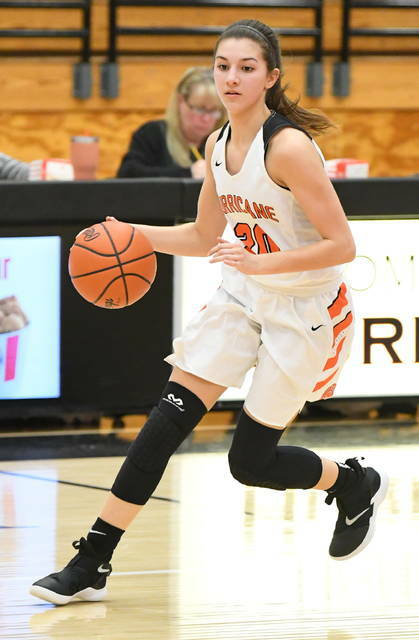 She brings a great energy and competitiveness to practice and games. She can go out and defend. And of course you have Mya who does everything. She works so hard in everything she does and she’s been rewarded for that. Jackson had 13 points in the first quarter, 10 of those coming in the final 2:51 during which Wilmington scored 13 straight points to lead 18-5. Six of those came on hoops fed by Sami McCord and Jamiel steals. 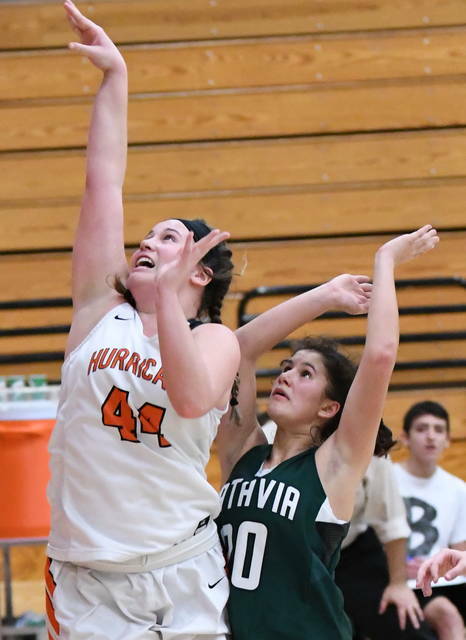 The Hurricane (17-4, 10-0) scored nine straight late in the second quarter to go up 27-7 and scored seven straight to open the second half to lead 38-12. 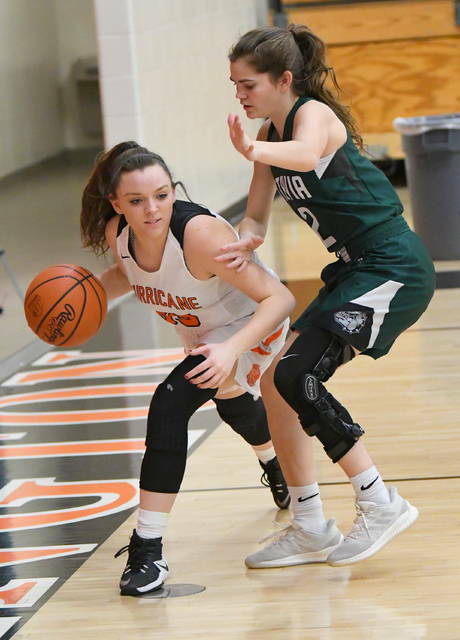 Jackson scored 15 points in just four minutes of action in the final period to push Wilmington’s advantage from 45-23 to 60-25 before she walked off the court with Victor and Harris to a rousing applause. 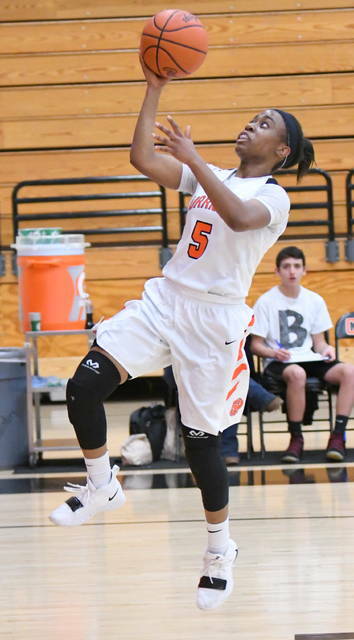 Kennedy Williams led the Bulldogs (5-16, 1-9) with 13 points. Williams also scored 10 points in the JV game to help lead Batavia to a 44-31 victory. Elise Neal led Batavia with 12 points. Elise Snarr led Wilmington with 10 points.